The Metal tray allows to work your plyometric exercises directly from your Rack, Wallmount or Rig. Designed with a quick release system to easily adjust the height of all your exercises. 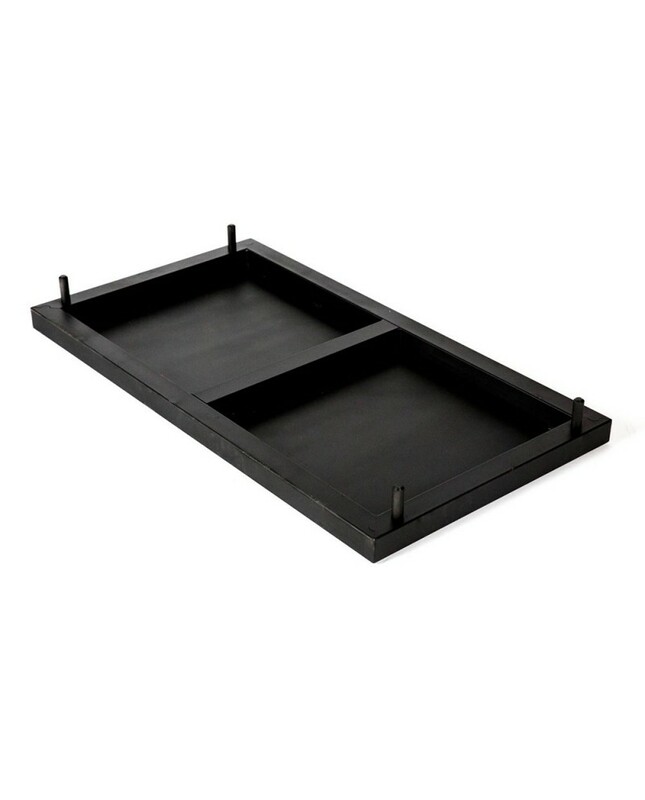 The tray is positioned between two tubes of your Rack, Wallmount or Rig. Its mounting system allows you to easily adjust it’s height to increase or decrease the amplitude of your jumps. Fits our full range Rack , Wallmount and Rig. The Tactical Steel metal tray exists in 2 different lengths: 1120 and 1650mm. Choose your length depending on the distance between the tubes of your Rack, Wallmount and Rig, and where you want to place your tray. For more modularity, the width of your tray is also available in 400 and 600 mm lengths.